Here at Special Branch Scotland we like to be open, helpful and transparent as much as possible to our clients and if they have any questions about our services, business or just some general enquiries about the tree industry we are more than happy to answer them. Below are some questions that have been asked or that we think might be helpful. If you have any other questions needing asked, or a query or just want to say hello then please feel free to contact us. We have public liability insurance, which covers us up to 2 Million Pounds. This protects us if a member of the public suffers an injury or if any of their property is damaged because of what happens when we carry out our day to day business. The insurance will cover legal costs and any compensation claims if the business is found to be at fault. We are also fully trained and with these 2 factors gives our clients total peace of mind. What level of qualifications and training do you possess to do the job properly? All our staff operating in the field are NPTC (National Proficiency Tests Council) qualified. 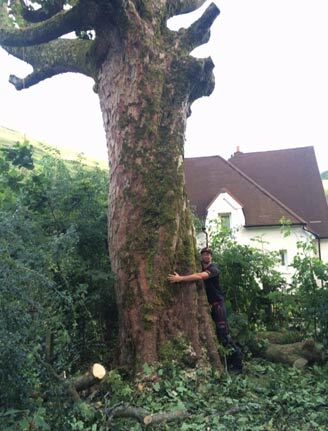 We are highly trained and adhere to all the current tree industry legislation that is required to operate in this business including LOLER 1998, PUWER 1998 and HSWA 1974. To be more precise Stevie Purdie (the owner) is City & Guilds NPTC Level 3 Award qualified in Aerial Cutting of Trees with a Chainsaw using Free Fall Techniques (QCF). When the job is complete will you clean up after? Of course we will. Our aim is to tidy up as much as possible when the project is complete so that you would not believe that we have been there. Taking the tree away if it needs cut down and removing any leaves and debris from the affected area will be the least we do. Will the work being carried out be noisy? It will all depend on what needs to be done, but our profession does usually mean there will be some noise and disruption to the peace and quiet because of the machinery we use e.g. chainsaws, stump grinders and wood-chippers. Though we will try to be as quick as possible and keep the noise down to a minimum. What happens if my trees are protected i.e. under a Tree Preservation Order? A written application to the local authority is needed if any work is to be carried out on a tree or area of woodland protected by TPOs. Special Branch Scotland can help with free advice or answer any questions that our clients may have with regards to tree protection. "We had a large diseased birch tree in our garden in Morningside that we were desperate to remove and a friend recommended Special Branch Scotland to us. Two men showed up at our door and were both charming, professional, and most importantly, on time! This seems to be a rare trait these days. The tree was removed with obvious skill and experience. They explained in detail what had to be done and how they were going to do it. We had the peace of mind from the very start. Everything was done according to the time frame that was set; they were on time, friendly, professional, and even tidied up after themselves. What more could one ask for? For anyone who is looking for a tree surgeon, I highly recommend Special Branch Scotland. We are definitely planning to use them again to maintain our other trees." For more please go to our Testimonial Page. 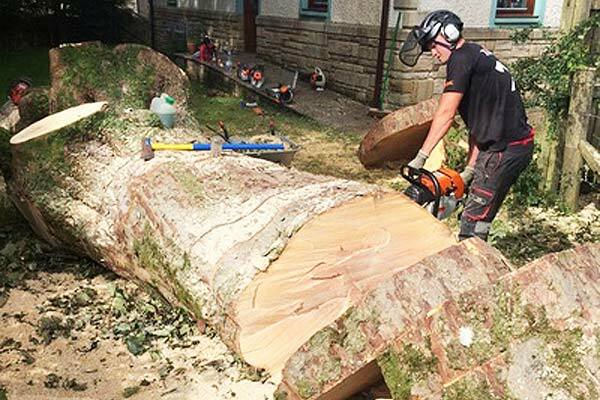 Having a great day in Arrochar slicing up a huge newly felled Sycamore tree with a chainsaw. 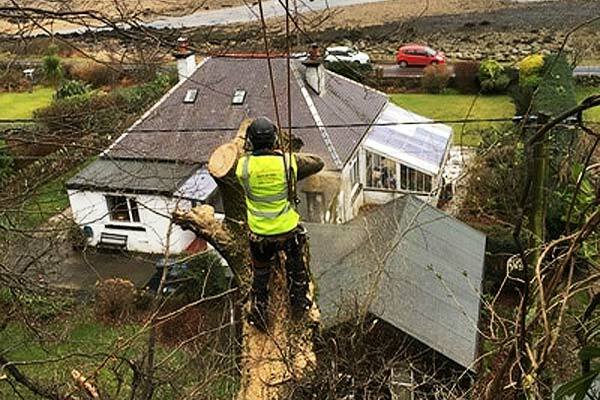 We love being on the road and this project took us to the enchanting island of Arran to do some tree work for a lovely client. Then please contact us here. We would love to hear from you! We have been asked many questions about our services over time. You can rely on our team to get the job done right first time! Special Branch Scotland: Urban and Rural Tree Surgeons operating out of Edinburgh and covering the Central Scotland area. Thank you Stevie and Cameron for a great job. Our 4 large trees are looking much healthier and cared for! Both were extremely professional and accommodating and I'm very pleased with the outcome. I will certainly be calling on their services again on an annual basis. Highly recommend this company - why go anywhere else? !